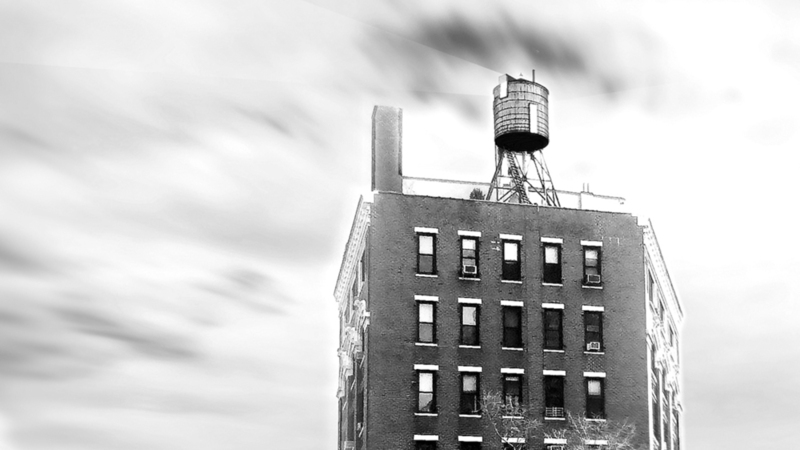 WATER TOWERS have long dotted the rooftops of New York, Filled and refilled in support of the buildings below. But over time these towers become obsolete, and are either removed or simply left in place to degrade over time. What if these empty towers could be reactivated and reused; exchanging water for people. 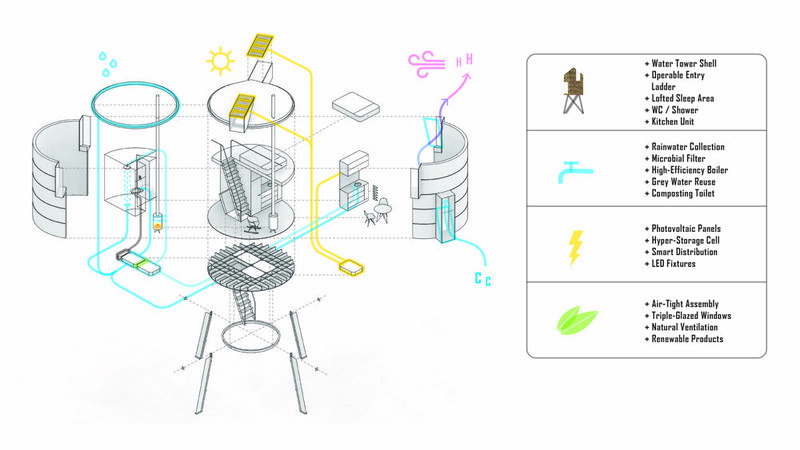 The Water Tower X-change project considers this infrastructure as adaptable to habitation. * Using nautical and rural cabins as inspiration, the project activates the interior of the tower by selectively puncturing the shell so as not to disturb its iconic design. 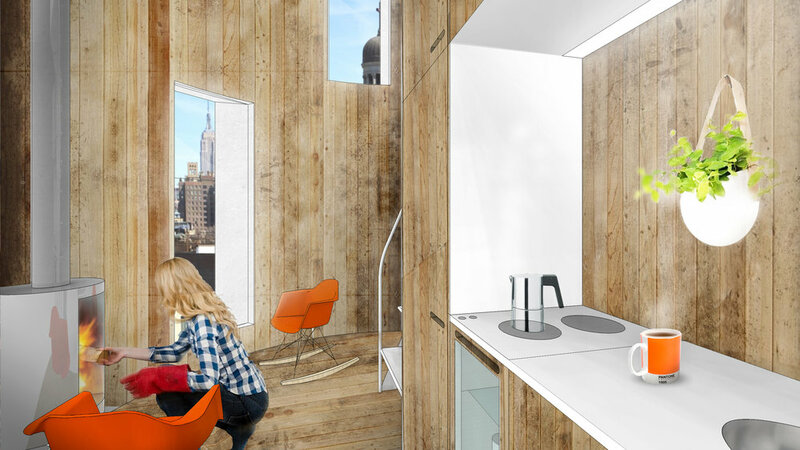 The lower level features a practical kitchenette, compact water closet with shower, and an standing stove for cool nights. A ladder leads up to the loft, sitting over an escape hatch with retractable access to the rooftop below. Tall windows carve views of the surrounding urban landscape. *Consider the built environment of Manhattan as a mountainous urban range where facades are shear cliff faces. The rhythm of building heights create the undulation of a steel, glass and concrete ridge. Imagine the feeling of inhabiting these water towers temporarily and seeing the city from a completely different perspective as you hike from tower to tower over the course of days, weeks or months.